Recently the American Bar Association held its 2019 Midyear Meeting at Caesars Palace in Las Vegas, Nevada. The trappings and energy of the venue were spectacular with the lights, noise, and hustle on the strip, making it a distracting but fun place to catch up with colleagues. Per the usual, there was a lot more going on than we could possibly cover but we did manage to feature highlights from the best volunteers and minds in the legal profession. Of particular mention, we sat down with ABA President Bob Carlson, whose small firm (Corette Black Carlson & Mickelson, P.C.) hails from Butte, Montana. He is only the second attorney from his state to head the ABA. During his tenure, Bob has endeavored to help small firms as well as protect and bolster the work of his predecessors including initiatives in diversity and inclusion, access to justice, and legal technology. We also learned more about the ABA’s actions in immigration, the government shutdown, and changes to their website. Additionally important were the outreach efforts to build membership which includes a new membership fee model. With 18 podcast episodes featuring 43 guests and hosts, our coverage of the Midyear meeting was vast. From ABA President-Elect Judy Perry Martinez updating us on gun violence, lawyer wellness, and legal education to author Bill Burnett sharing his wisdom on “Designing Your Life” as well as detailed discussions on jury selection, socio-economic bias in the courts, ABA Blueprint, gatherings of federal judges, human trafficking, Tinker v. Des Moines, creating winning visuals for trial, and much much more… There’s a little something for everyone. American Bar Association President Bob Carlson joins hosts Sharon Nelson and John Simek to discuss his tenure as president as well as ABA initiatives in the government shutdown, immigration, membership outreach, and much more. 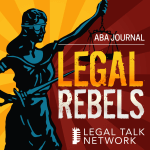 Hosts John Simek and Sharon Nelson sit down with American Bar Association President-Elect Judy Perry Martinez to talk about gun violence, lawyer wellness, legal education, and of course legal technology. It’s been over 70 years since the end of World War 2 but there is still much we continue to learn from that era in history. On this episode of On the Road, Judge Bernice Donald of the U.S. Court of Appeals for the Sixth Circuit and Bill Choyke, senior strategist for the American Bar Association discuss what it was like to be a Jewish lawyer during the time of the Third Reich and how those who made it survived. They also talk about ‘Lawyers Without Rights’, a traveling exhibit documenting those harrowing years during the Holocaust. Bill Burnett, author of ‘Designing Your Life: How to Build a Well-Lived, Joyful Life’, sits down with host Patrick Palace to discuss ways to improve legal practice, problem solving, innovation, and reinvention. Many states have outlawed the practice of Conversion Therapy. Mathew Shurka, a Conversion Therapy survivor along with Professor Alphonso David, Counsel to the Governor at Office of Governor Andrew M. Cuomo, and Jocelyn Samuels, executive director of the Williams Institute discuss the practice and why they are advocating for its ban in all of the 50 states. 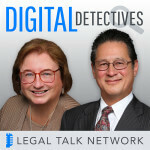 Hosted by Kimberly Sanchez, executive director of Community Legal Services of Mid-Florida and Chad Burton, CEO of Curolegal, this episode features Rebecca Sandefur, Professor of Sociology and Law at the University of Illinois at Urbana-Champaign talking about digital access-to-justice tools and empowering individuals to handle their own legal problems. Stay tuned for a rare “fanboy” moment from the sometimes difficult-to-impress Chad Burton. Tinker v. Des Moines is a 50 year old pivotal free speech case that continues to be relevant today. Hosted by Sharon Nelson and John Simek, this episode features Professor Salvatore Russo, Alex M. Johnson, Professor Stephen Wermiel, and James Hanks discussing free speech for students today including the growing occurrence of the heckler’s veto. Personal wellness has long been a challenge for the legal profession. In recent years, bar associations around the country have made this a prominent issue for action. Hosted by ABA Law Student Division’s Kristoffer Butler, this episode includes Immediate Past ABA President Hilarie Bass, Florida Bar’s Legal Division director John Berry, and executive director of the Indiana Judges and Lawyers Assistance Program Terry Harrell talking about mental health and the need for law firms and law schools to make it a priority. Host Kimberly Sanchez welcomes Curolegal CEO Chad Burton on the air to discuss ABA Blueprint, an online collection of platforms, services, and advice designed to help lawyers boost their efficiency and profit margins. Are courts biased based on a defendant’s socioeconomic status? Judge Bernice Donald, Professor Michele Neitz, Professor Sarah Redfield, and Ronald Kramer join host Rocky Dhir for a conversation about how stereotypes can contribute to outcomes. Since 2010, the American Bar Association has been working on its report on the U.S. Immigration Removal System. ABA Law Student Division’s Kristoffer Butler sits down with former senior advisor to Department of Homeland Security Dr. Dora Schriro, Fried Frank’s Karen Grisez, and Arnold and Porter’s Larry Schneider to talk about the findings from that report as well as ways to make the immigration courts function better. Being a bar leader is not easy but you don’t have to go it alone. On this episode of On The Road, National Association of Bar Executives president Karen Hutchins stops by to discuss her organization’s resources created to help bars of all sizes and specialties provide engaging programs to keep their members coming back. Getting legal help can be prohibitively expensive for many Americans. Fortunately, there are volunteers out there to lend a hand to those in need. On this episode of On The Road, host Kristoffer Butler sits down with the American Bar Association’s Amy Horton-Newell, Ainka Jackson, Wendy Wayne, Eric Storey, Buck Lewis, and Joshu Harris to talk about their respective programs in public interest law and pro bono. Tune in to learn how and where you can volunteer to help the less fortunate. Several times a year the National Conference of Federal Trial Judges meets but what do they do and what do they discuss? On this episode of On The Road, host Laurence Colletti talks with Judge Nannette A. Baker of the U.S. District Court for the Eastern District of Missouri and Judge Timothy L. Brooks of the U.S. District Court for the Western District of Arkansas about their meetings, who attends, issues discussed, and what they are learning. Tune in to hear about their civility and litigation program. Casinos and human trafficking may not seem correlated to most of us but in reality businesses harboring large amounts of cash and offering short term lodging can unknowingly support individuals engaged in that vile practice. Fortunately, the gaming industry is catching up with these offenders by educating their staff on key elements to look for. On this episode of On The Road, Firekeepers Casino vice president of security and surveillance George Jenkot and Walk Free Foundation statistician Dr. Davina Durgana stop by to discuss those signs of trouble plus provide additional insights about human trafficking including the most likely victims. Legal research can be costly, especially to new lawyers. Wouldn’t it be great if there were free options to use? Well yes it would because yes there are! On this episode of On The Road, Law Library of Congress’ Barbara Bavis returns to the air to share her favorite free resources for legal research in areas like case law, state law, criminal law, civil law, international law, and more. Tune in for more of the free! A picture is worth a thousand words. At trial, that can be a good thing or a bad thing but when it comes to making effective presentations for the jury, what are best practices? On this episode of On The Road, Jones Day’s Kerri Ruttenberg shares her insights and tips for mastering the critical art of creating visuals for trial. Jury selection can be a tricky business and yet so crucial to getting your client their day in court. On this episode of On The Road, Dr. Jeffrey Frederick stops by for a chat about best practices, tips, and tricks for getting potential jurors to open up for a better selection process. Dr. Jeffrey T. Frederick – director of jury research at National Legal Research Group Inc.
James Hanks – Of Counsel at Ahlers and Cooney P.C.